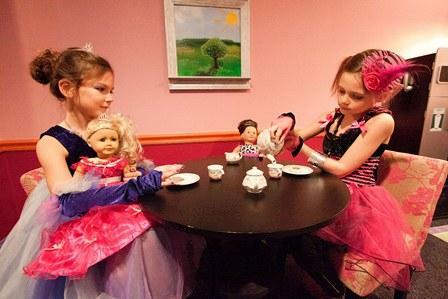 We now offer BFF Tea Parties for your daughters and their BFF dolls. Parties will include hair styling and face art for the girls. We prefer no braids, tangled or wet hair. If your child arrives with any of these, we will be limited to how we can style their hair. Hair is styled and accented with color & glitter hair spray. Face art is done in the eye area and topped off with lip color and glitter. 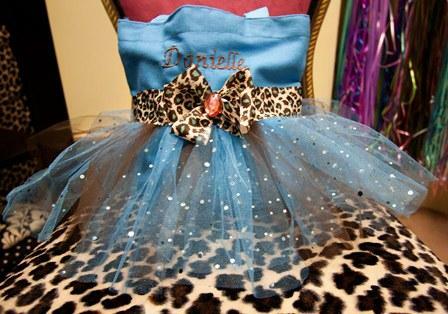 The girls will choose from a selection of formal dresses for the dolls to wear. We will then style the dolls hair and add a tiara or hat, which you get to take home for your BFF! They can play with their BFF’s in the custom dollhouse room that’s just like a real house…only with doll size furniture. Parties accommodate 18” dolls, such as American Girl dolls. There will be a runway show announcing the girls and their dolls. Karaoke is available for these parties and you may also bring in a CD, iPod or iPhone to listen to your own tunes. Age range is 4-10 years. Monday-Friday: Choose your time frame. You may bring in small food items such as finger sandwiches & chips along with your cake and drinks. No pizza allowed at BFF Tea Parties.